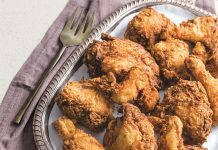 Fried chicken is a staple in culinary cultures from the Far East to the Wild West, and each is unique in its own way. Whether pan-fried, stir-fried, or deep-fried, chicken goes so well with batter and oil that it truly could be a food group of its own. 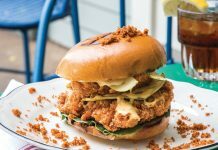 In Louisiana, places like Willie Mae’s Scotch House in New Orleans, Delpit’s Chicken Shack in Baton Rouge, and Hot Food Express in Lafayette, create out-of-this-world fried chicken in the state’s own style. However, there is one variety of fried chicken that might just be out-trending those south of the Mason-Dixon Line: Korean fried chicken. With a thin and crispy batter, this version from East Asia has found a place on the menu of restaurants like Phillip Lopez’s Root in the Crescent City. I recently featured some Korean fried chicken wings on a pop-up dinner menu at the Tin Roof Brewing Company in Baton Rouge. The “Asian Wing Trifecta” course featured a tandoori-style chicken wing from Chef Aaron Brown of the Taco de Paco food truck, as well as a ginger-sesame Chappapeela Farms duck wing, and a Cajun-influenced Korean fried wing by yours truly. I turned to Serious Eats writer J. Kenji Lopez-Alt for a little inspiration on the Korean fried chicken method, and then took it from there with my adaptation of a Louisiana-spiced Korean fried chicken wing. 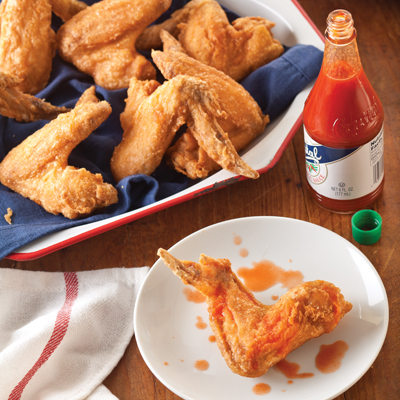 Diners were pleased with the crispy battered skin of these wings, and they’re one of my new favorites. Rinse wings and pat dry. 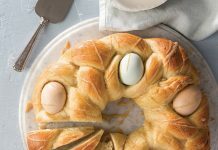 In a large bowl, combine ½ cup cornstarch, 4 teaspoons kosher salt, and 1 teaspoon baking powder. Add chicken to bowl and toss until completely coated. Shake off excess cornstarch mixture, then place in an airtight container. Refrigerate for at least 1 hour or up to overnight. In a large Dutch oven or stockpot, heat peanut oil over medium heat until it reads 350° on a candy or deep-fry thermometer. In a large bowl, combine remaining 1 cup cornstarch, remaining 1 teaspoon baking powder, flour, and Cajun seasoning. Whisk in water and vodka until smooth. Batter should be thin; add additional water if needed. Add 6 wings to batter; toss to coat. Remove wings from batter, letting excess drip off , and add to hot oil one at a time. Cook in batches, turning occasionally, until cooked through, about 8 minutes. Remove from oil to drain on paper towels, and sprinkle with additional kosher salt. Serve with hot sauce, if desired. You can replace vodka with more water instead, so have 2 cups of water ready for this recipe.